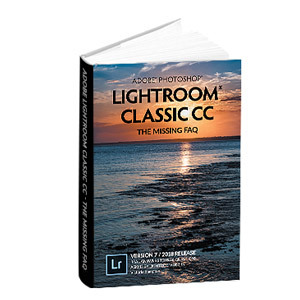 Lightroom Classic Tutorials > Performance > Hurry up Lightroom! The best speed tips! This post was originally written in 2009, and a lot has changed since then, so you’ll want to check out my new series of 8 posts on improving Lightroom’s performance. There’s a big difference between rendering previews that have never been built or that need updating, and loading those ready-built previews from disc. How can you tell the difference? The overlay in Loupe view will tell you exactly what it’s doing – and therefore what you can do to help. “Rendering Preview…” means it’s rendering a preview for the first time – and you’re having to wait for it! You could set Lightroom rendering the previews when it imports, by selecting your chosen preview size in the import dialog – it’ll slow you down initially but once it finishes rendering, it’ll be much quicker. For files that are already in your catalog, select them all in Grid view and go to Library menu > Previews > Render Standard Previews or Render 1:1 Previews, and go off and leave it until it’s finished. It’ll skip any that already have current previews, and you’ll find browsing much quicker when it’s finished. So what size previews should you render? If you want to quickly zoom into 1:1 view in the Library module (not Develop), then it’s a no-brainer – render 1:1 previews rather than Standard-Sized previews, either in the Import dialog or using the menu command noted above. On the other hand, if you rarely zoom in Library module, you’re better off using Standard-Sized previews, as they’ll take up less disc space and be quicker to read from the cache. If you see the “Rendering: Higher Quality…” overlay, it means the existing preview is too small or too low quality. If you’re seeing that overlay in Fit or Fill view, you’ll want to reconsider your Standard preview size. You’ll find those settings in the Catalog Settings dialog under the Edit menu (Windows) / Lightroom menu (Mac). Generally speaking the Medium quality setting is fine, but you may decide to increase the Standard preview size from 1440 to a larger size if you have a high resolution screen and regularly see the “Rendering: Higher Quality…” overlay. “Rendering: File Changed…” means, well, that’s the file’s changed since the preview was created. That could mean that you’ve made changes in the Develop module, using the Quick Develop panel, or by applying a preset. Using the Render Standard Preview menu command to update those previews while you do something else will speed up your browsing. “Loading from Previews…” is the overlay you’re aiming for – that means your existing preview is being loaded from the preview cache, which is the quickest option. First, you need to understand the difference between Library module and Develop module. Library shows you lower quality previews from the previews cache. Develop, on the other hand, assumes you need an accurate view, so it first shows you the preview from the preview cache, then does a quick read of the raw file, frees up the sliders for you to start working, and then finishes loading properly, before it turns off the “Loading…” overlay. You don’t have to wait for the overlay to disappear before starting work on the image – and if you find it distracting, you can turn it off in the View menu > View Options > Loupe panel > ‘Show message when loading or rendering photos’. That’s all well and good, but that’s still a lot of raw data to load and process each time you switch images. Have you ever noticed, though, that when you adjust a file in Develop, move to another image, and then come back to that first image again, it loads much quicker than it did the first time? That’s where the Camera Raw cache, also known as the ACR cache, comes in. When Lightroom reads the data the first time, it adds it into the shared Camera Raw cache. When you load that image into Develop module, where possible, it will load that cached data, which is much quicker than reading and processing the original raw file data. By default, that Camera Raw cache is only 1gb in size, and when new data gets added, the oldest data is removed. With only 1gb of space, that happens quite quickly, so you’re not seeing the benefit. If you go to Lightroom’s Preferences dialog, and look in the File Handling tab, you can change the cache size to suit – up to a maximum of 50gb. Bigger is better! You can also change the location if you wish to – but make sure it’s on a fast hard drive. Once that data is cached, it’s much faster moving between images in the Develop modules – almost instantaneous on high end machines. Of course, that is only helpful when Lightroom has recently read the raw file, and added it to the cache – and there isn’t currently a menu command to pre-load the Camera Raw cache. All is not lost! There’s a trick to pre-loading the Camera Raw cache – in addition to actually viewing the image in Develop module, there’s another obvious time when Lightroom has to read (and therefore caches) the raw data – namely, when rendering previews. If you haven’t already rendered previews for your files, simply using the Library menu > Render Standard-Sized Previews command will do the trick. If, however, you already have current previews, you can force them to re-render by making a minor or reversible change to the images (i.e. by using a Quick Develop button) and then using the Render Standard-Sized Previews menu command. Leave it to finish, and by the time you come back, even the Develop module should be moving through the images at a much more comfortable speed. It’s true that large catalogs can be a little slower than small catalogs – but we are talking BIG catalogs. It’s not generally a good reason (any more) to split your library into 300 different catalogs – that just defeats the object of having a DAM system like Lightroom. If you find Lightroom is feeling a little sluggish, find the Catalog Settings dialog under the Edit menu (Windows) / Lightroom menu (Mac), and press the “Relaunch and Optimize” button to perform database optimization. It’s worth doing regularly, and any time you make significant database changes like importing or removing large numbers of files. There is no question, Lightroom loves good hardware, but it can still run nicely on older systems too. Do make sure you’re running the latest Lightroom release (currently 2.3) as performance improvements have been made to each release. If you’re working with existing hardware on Windows, check your graphics card. You don’t need a heavy-duty graphics card to run Lightroom, but you will benefit from the latest drivers that are available from the graphics card manufacturers. If you haven’t checked recently, that’s your first port of call for a free and easy performance fix. Hard drives are another obvious place to look. For a start, you’ll want plenty of space on your hard drives, particularly the boot drive, as your computer will get slower as you start to run out of space. If you’re on Windows, defragment your hard drives regularly too. Hard drive connections can also slow down Lightroom, due to the amount of data transfer when working with large files. Internal drives will usually be quickest. If you have to work from external drives, eSata and Firewire800 will be much quicker than Firewire400 or USB. Ideally your catalog (and the previews alongside) will be on a different physical drive to the image files themselves (just another partition of the same drive won’t help). If you’re looking for new hardware, you may be wondering if Lightroom can make use of multiple cores – and yes it certainly does. I’ve seen it use up to 650% of my 8-core machine when running processor intensive tasks such as multiple exports or rendering previews. Lightroom also loves plenty of RAM, but bear in mind that you’ll need a 64-bit operating system to really take advantage of large amounts of RAM. If you have more than 4gb of RAM, you’re most likely to see improvement in the responsiveness of Develop module by using the 64-bit version. And finally, a little logic. Virus protection constantly scanning the same files that Lightroom’s trying to use will slow you down. Consider excluding the catalog (*.lrcat), the previews file (*.lrdata next to the catalog), and the ACR Cache (check the Lightroom Preferences dialog for the location) from the live scan, and perhaps the images themselves. The less junk you have running in the background, the better, particularly on older slower machines. That includes those fancy little system tray programs that load on startup. That’s all for now – if you have any favorite speed tips, feel free to drop them in the comments below! In Library and/or Develop, close the Histogram and/or Navigator panels. The more Lightroom has to update, the more work it has to do, the slower things will be. Same with the Filmstrip, especially when using Quick Develop or AutoSync — the more thumbnails LR has to update, the slower it will be. Also, while it has improved greatly since the early versions, enabling “Automatically write changes into XMP” in the Catalog preferences does slow things down. These are pretty subtle effects. You’d have to care deeply about the last 1% of performance to bother with any of these… But if you’re going for maximum performance, they’re worth thinking about. I need help with preview issues in LR2 please. Il did SelectAll/Render 1:1 previews, but when I scroll in Library (thumbnails are not small) they are not already rendered, I have to wait for the thumbnails to load. Isn’t it supposed to be already loaded and sharp (all thumbnails)? Hi George. It depends. The previews are stored as multiple different sizes, from 1:1 down to the small thumbnails. If it hasn’t had to display that particular size before, it may be downsizing a larger preview in order to create a cache a thumbnail size. Thanks for the reply Victoria. The truth is I can see a difference between a catalog with no previews loaded, it takes some time to display the thumbnails, and one with the previews loaded: thumbnails load faster but are not instant – this is my complain about. My laptop is Core2Duo P8400 and the catalogs are the family photos from the last 9 years, one has 45k files in 90GB, the other 65k files in 200GB. The second is larger because at one point I got a newer camera (entry level DSLR, so the files are not so big). Do you think on a last generation system the thumbnails (with previews loaded) would display instantly? If they’ve been displayed before as thumbnails at that size, then yes I’d expect them to be very quick, if not instant. Where’s the catalog stored – if it’s reading back existing thumbnails, drive speed could be a factor. Some good tips! I’m just in the process of rendering some previews. I also went through and removed some old catalogue backups and v1 catalogues since they were no longer being used. Have blogged briefly about it here. Thanks for the speed tips! Useful article, thanks. Currently seeing if upgrading memory by 1gb plays a part. Thank you for these suggestions. It is very consoling to realise that I am not alone in having these issues. There are moments when I am near to tears waiting for an image to load or update. My question is: I have an Intel Graphics Controller on my Toshiba Satellite. I have upgraded the RAM to 4 GB. Will I continue to have frustrating slow performance unless I upgrade this graphics card or should I put the money aside for the next version of Lightroom? I cannot do both. Photoshop CS4 says it cannot use it to enhance performance so I presume the same is true for Lightroom. I just updated the driver yesterday. Wow.. great post V! love the nvidia link! So I wonder if a quad-core is ample if its dedicated for LR?! I fell unto this site and love the ideas (you can’t hear my R- when I pronounce it ‘eye-deers’) and tips you bring to the arena. Since I’ve loaded LR on friends PCs, no longer the availability of using MAC for now. I’ve use the basic apps to do my photo work and made the most of each, by utilizing the applications built in and plugged task handlers. On the Mac, you don’t need a 64-bit OS to have LR use more than 4 GB of RAM, so feel free to pile it on there. Sorry, this is wrong and not even technically possible. You cannot address more than ~3.3GB of memory with a 32-bit operating system. The point is that MacOS X (I don’t know since which version) allows both the 32-bit and the 64-bit kernel to run in parallel. So even if you usually run your Mac system in 32-bit mode, Lightroom can be started in 64-bit mode and address more memory. But it *does* require both a 64-bit processor and the 64-bit kernel of MacOS. Another speed tip: if you’re going to select large amounts of images (I sometimes do to catch up on missing keywords), make sure that the keywords and metadata areas are closed. LR can take a *long* time pulling in all that data. Once you’re done with the huge selection, you can open them up again. With Windows XP and Lightroom 2.5, I have found there to be a huge performanace difference when using Lightroom based on how the files get into the Develop module. For example, launching Lightroom and then selecting “Import File(s) from Hard Drive” to load them into the catalogue is MUCH better than going to a file in a directory, right-clicking on the file and selecting “Open With…Lightroom” (which loads the file into Lightroom and drops you into the Develop Module) For whatever reason, the latter option will make Lightroom crawl. The adjustment brush is almost unusable due to the cursor lag and the whole interface is extremely slow. Always Launch Lightroom first, then load photos via the Organizer interface!! I’d pay a million bucks for a little plug-in that allowed you to cycle through the available camera profiles and see how each one affects a given image simply by repeatedly pressing a single key. This would be a huge time saver for me when processing large shoots. Thanks Victoria. I tried it that way at first, but unfortunately that doesn’t quite do it for me. The Navigator preview is too small for such a critical color decision. I’m still looking for a good documented process for clearing out my Lightroom cache. It’s saved on my C: drive which is running out of space and WinDirStat shows most of that space is used in “C:Doc SettingsLocal SettingsApplication DataAdobeCameraRawCache”. I’ve exported my old collections to a separate catalog, deleted them from the current catalog, and ran the relaunch/optimize catalog however my cache is still 1GB in size. I’m wondering if I can delete my .dat files and LR will auto recreate only the ones needed. The Nvidia tweaks made a small improvement for me in LR 2.7 but so far in LR3 nothing I try seems to be improving anything. I am considering a new card but it seems a big secret as to what the best video card is to use. You can spend days browsing the lightroom forums on Adobe’s site only to end up with sore eyes, a headache and no answer to this. Why can Adobe not publish an approved hardware list, a list of hardware specs that THEY actually use inhouse when testing the product. 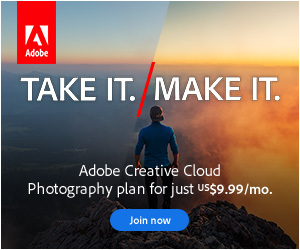 I can tell ya, serious pro photographers would not think twice to buy such hardware just to see what Adobe see’s before they push the product to market but this really does seem to be some sort of big secret that nobody cares to share. What is the magic potion for a fast Lightroom ???? I’ve been using Lightroom since it first appeared and have kept it up-to-date and upgraded each time. However, I’m regretting upgrading to LR3 as it just seems so much slower, clunky and frustrating. I love my photography but now do not enjoy processing my images through Lightroom. I’m please to hear that you mention Adobe are working on a solution. I only hope that it’s soon as LR3 is currently proving to be a big disappointment. Any news yet of when LR3.1 will be available? I have just invested in a SSD and it it’s not giving me the speed increase I expected for LR3. I have the catalogues and camera RAW cache both on the SSD with the photos themselves on a Drobo S. I generate standard preview when importing the RAW files, yet even after it’s finished processing, moving from full screen photo to photo in Library view can take a few seconds for the ‘loading’ display to disappear and the photo to ‘snap’ into sharpness. I have a 30′ monitor with 2560×1600 resolution and sometime use a secondary display for grid view, but would have though that with a 4Ghz quad core processor & 8Gb RAM this shouldn’t be an issue. I have tried having the catalogues on the fastest HD I have and the RAW Cache on the SSD and vice versa, but LR seems to be consistently ‘sluggish’. I have standard preview set at 2048 pixels and preview quality on medium to try to get some extra speed out of the system. Do you have any suggestions as to what I should have on the SSD and what (if anything) I should have on my fastest HD? It’s disappointing that LR3 is still sluggish when programs like photo mechanic are *blazingly* fast. I have the same problems as Jonathon. I bought some new computer parts last week in order to solve the very sluggish LR3 on my 4y old Intel Core 2 Duo, 4GB RAM, and Windows XP 32bit. Now I have an Intel 6-core, at this moment 6GB RAM (will increase soon), Windows 7 64bit and OWC Extreme SSD as startup disk for OS, LR catalogs and LR cache. LR3 reacted very responsive, but now, after a week or so, the reaction is again slower, but still much faster than on my old system. Sometimes more than 50% of my RAM memory is in use by LR. And sometimes my 6-core is up to 100% when exporting or rendering. I also changed some settings in the nVidia panel but that didn’t really increase the performance. I know there are some perfomance issues and I do hope that Adobe resolves them very soon. Really interesting article Victoria – I’ll be subscribing from now on! I’m also one of those giving an SSD a shot. It’s a 60GB one, with a bit more then half used for OS etc. Lightroom is also on it. one would benefit from SSD speed but lack from smaller size while the other option is the opposite. what would you recommend? I just got one other drive in there anyways, so that’s what I need to decide between. A raid 0 is faster then my single drive, so I guess in my case it would matter where to place the cache I guess, no? Plus what do you think is the better decision? smaller cache on SSD VS bigger on on HDD? I wonder why LR3.x is limiting the ACR Cache size (currently to 200GB)? Disk space is so cheap, so why set a limit? A catalog containing some 30000 images with cached previews in standard size require a cache size larger than 200GB. A real DAM should allow to manage far more than 30000 images, right? VB – thanks for commenting. Created a RAID0 (striped volume f: consisting of 2 disks (WD5000AAKB) each 500MB) on an MS-XP machine. set the ACR-cache to f:/Adobe/CameraRAW/Cache as well. By feel of gut (nothing measured), I find LR3 to run comfortably fast. Still I am wondering about the effects when working with multiple catalogs in this setup. The ACR-cache is set for LR whereas the previews are within each catalog. Since each catalog produces ACR-cache entries, how does LR differentiate between ACR-cache entries of catalog A and catlog B ? Possibly I am totally mistaken about this ACR-cache issue, I’d like to gain clarification in order to find an optimal system setup with the built in HW and thus get the most out of LR3. The whole software development and post release world is dominated by the dudes, only slightly sprinkled with the flavor of girls, and when i do see blogs, tips, etc. written by the ladies – it’s just really nice to see! 🙂 Thank you so much for your time and hard work in writing this awesome article. Even though, 97% of which I do not understand, “Dammit, Jim – I’m a photographer not a rocket scientist..” and I am ‘barely’ a photographer most days. There are some things that I do get. Anyways, I accidentally found you due to my laboring Lightroom problemos- I am certain it is because I am using VISTA Home not so Premium.. Okay – just wanted to thank you again for your hard work. I am on my way to go read more! Great tips here and I will definitely try some of these out. Quick question (slightly related to speed). Do you recommend using lightrooms built in sharpening tool or do you get better results using an a 3rd part plugin which would obviously be slower when processing lots of images? Any thoughts would be appreciated as I’m fairly new to lightroom having recently switched to it to improve my wedding photography workflow. Great help, mine is already running faster, thanks for the help! I’m using LR 3.3 64 bit and find moving from image to image in the develop module painfully slow. I tried the tips here. ACR cache was at the default and is now at 99GB. That didn’t seem to make a difference at all. Suppose I have images named 1, 2, and 3. If I’m on 1 and go to 2, it takes several seconds before “Loading…” disappears. If I go back to 1, it takes about half a second. Back to 2, half a second. On to 3, several seconds. Back to 2 about half a second. So far about as expected. Now, though, if I go back to 1, it’s several seconds again. It appears to be caching only the previous image. To make things more aggravating, when I scroll to the next image, very quickly, a reasonable rendition of the image is displayed. Very soon after that, though, the “Loading…” message appears, replacing the nice, sharp picture with a very low resolution pixellated one until the “Loading…” message disappears. I forgot to mention that I closed LR after making the preferences change and then opened it again before testing performance in case preference changes don’t take effect until next load time. I found this note googling, because I am having issues like Victor below. Recent upgrade to LR3.5, my system is single CPU Xeon 2.5GHz quad core with 4GB RAM, 6 SATA disks: OS on one, ACR cache is on another, catalog and original image files on another with others used for backups, spare space, etc. My previews are set to 1:1 and are building on import (but as you explain above, that shouldn’t matter for the dev module). Going from image to image in develop with the arrows has “Loading…” appear for several seconds on every image, even those I’ve just viewed – I don’t think I’ve changed anything, and I don’t remember even seeing the “loading…” before, except with brand-new images. Hi Brent, the Loading in Develop is quite normal – it does a quick load first (from the ACR cache), frees up the sliders so you can start working, and then finishes reading and processing properly. You can turn off that Loading overlay in the View Options if you find it distracting – that’s what I do too. And make sure your ACR cache is big enough to hold all of the photos you’re working with at any time – mine is set to 50gb. If you want to troubleshoot further, feel free to drop me an email or post on the forum (link on menubar). Thanks Victoria – It just seems like something has changed for me: it’s not that the “loading” icon is distracting, but that the image presented at first seems fuzzy until the loading goes away, and then it sharpens up – in other words it’s acting like the 1:1 preview isn’t cached, much less the ACR (mine was set to 60GB and contains about 54GB right now). This happens on either the 2nd monitor fullsize, or even on the primary monitor smaller with all the toolbars on; I checked them both. Anyway, I usually “cull” from with develop (at least I used to!) because I often want to tweak the exposure before deciding to discard… and several times in the past week I discarded (x) immediately because I thought the focus was so badly off… but it was really just that the preview hadn’t loaded; it seemed coincidental with the “loading” in develop. Perhaps I’ll instruct it to rebuild the 1:1 cache for all of this years files when I go to bed tonight. Hi Brent. You could have a corrupted preview cache. Try importing a few photos into a clean catalog and see if you get the same problem. If not, I know how to fix it – we’ll trash the previews file and rebuild. And if you’re not zooming in Library module, I’d just render standard size previews – no point rendering 1:1 if you’re not going to use them, as they’ll be slower to read/load. I have a Mac Pro 8 core with four drives: System, Data, Bootcamp and Timemachine. Is right to put LR3/4 as well as the previews and the catalog on System and the pictures and the RAW cache on Data? Or should I put the cache on System as well? Hi Edgar. I’d try it both ways. With the new smaller cache files that were added in 3.6 and 4.0, it’s not as big a deal any more. My gut feeling is to put it on the data drive unless the system drive is an SSD, but there’s probably not a lot in it either way. Great Tips. Thanks alot. I was going crazy on library view most of the time. When i shoot a wedding its like around 2000 pictures and i need to go over each of them and rate them this was really pain. Now i render them in advance and lifes gets easier. Thanks again. Excellent, I’m really pleased to hear it. are these tips good for LR4 as well? Hi Emily, yes, I think all of them still apply, some of the overlays (like the ‘rendering higher quality’) are gone now. The cache makes less of a difference in LR 3.6 and later, and it doesn’t need to be as big (i.e. 5-10gb is plenty for most people). Thanks for the reminder, I’ll put together an updated version. Hi, Lightroom 3 no longer has relaunch & optimize under the catalog setting…any ideas? I increased my space as you recommended to 50gigs and still so slow! Used to be fast on the same machine, thanks in advance. Hi Katie, drop me an email via the Contact page and we’ll go through all the possibilities together. all I read about Lightroom Performance is about pre-rendering the 1:1 views at import. That IS a good trick. However, a Lightroom software does slow down significantly on large preview structures (Folders called *.lrdata) on hard drives. I had a system bog down to be nearly inoperable in Development mode at catalog size of approx. 40.000 Pictures each 22 MB size and 1:1 previews – pre-rendered and to be kept “forever”. I thought that this would be a good thing, it is not. The Folders with the previews (*.lrdata”) can be deleted at any time and it is surprising to see how fast LR gets after such deletion. Ok, the previews need be rendered again, but the LR system all of a sudden is waaayyy faster. Something to try out if lack of response in development mode is an issue. That’s an interesting one Gerd. Which Lightroom version? It shouldn’t be slowing it down so you may have found a bug. I have always stayed on top of LR Releases, currently using LR 4.4, latest Version. I was shy of using the 5 version and will upgrade to 5.2 . The slow System was a Win32 System, Vista, 4 GB RAM; Core2Duo processor, separate HDDs with separate Sata Interfaces for a) OS & library, b) previews and c) RAW pictures – this is as unburdened as it can get on a WIn32 system. Vista is not an issue actually, the OS loads slowly but then has the performance of a regular Win7. I moved to a new Computer with WIn7 x64, and in that process also cleaned up my old system – and surprise, it dropped the sluggish development behavior completely. I am working a lot with local filters, which had become quite slow to load – from click to reaction from one to a few seconds. Working with only a small .lrdata structure for only a few freshly rendered previews made a huge difference to the Point where I questioned my decision to buy a new computer. To improve speed I normally import my picture in a temporary folder on my SSD and then once I’m done with the processing I move that folder to my archive folder on my raid array (I do this directly in lightroom of course) Also deleting the cache files helps a lot. I do that before every backup. (not the lightroom catalog backup, I mean when I backup my complete Archive folder and catalog to another external drive) On the safety side I always use 2 External Backup drive and my archives run on a Raid array for real time backup. And I don’t remove the files from the sd cards before the job is actually transferred to the archives. I keep one external backup at home and the other one at work and I do a weekly rotation. So if something happens to my house I’m still safe. Hi Patrix87, thanks for your comments. I’m intrigued as to why deleting the cache files helps – it shouldn’t, so you may have found a bug of some description. How big is your camera raw cache? Sounds like you have a really robust backup system – that’s really good to hear. This is a really really old post Kevin. Why are you still on LR3? !